a) the way of rebellion. b) the way of obedience. a) no different from anyone else. 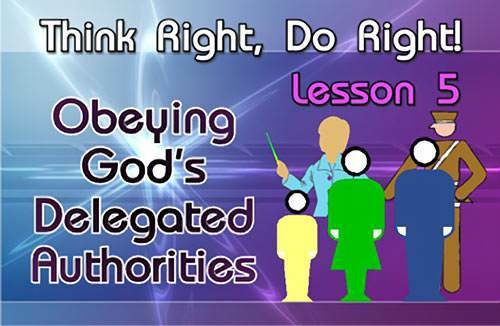 b) the same as disobeying God. a) your friends and classmates. b) your parents and teachers. a) are to be under the authority of no one. b) are to be under the authority of their parents. a) accept that answer and obey. b) go to the other parent to ask the same thing. a) to complain and argue when they tell you to do something. b) to respect and obey your parents. a) whether or not you like that teacher. b) only if you like that teacher. a) you should do it but ask God to forgive you. b) you should tell that person you cannot do it because God does not want you to. b) the way you treat God.